Cindy Needham: "My Designs" Collection of Quilting Patterns...PRE SALE OFFER!!! "My Designs" Collection of Quilting Patterns...PRE SALE OFFER!!! I am VERY excited to tell you that my set of new design handbooks is nearly complete. This is something I've been wanting to do for a long time and I am soooo jazzed with how well they are turning out. The first set will be finished by next Wednesday...the second set will be done by the end of July. I have had a number of you contacting me over the past few months wondering when this was going to be finished so I thought it would be fun to do a pre-sale and offer you a discount! This collection of quilting patterns will be sold at full price of $50 and includes twice-yearly updates. I am offering this set at a special pre-sale offer of only $40. This offer will end at midnight on Thursday, June 5th. For those of you who take advantage of this pre-sale, I will start sending out the first set of this collection starting next Wednesday, June 4th. You can pre-purchase this set of handbooks by going to the handbooks section of my website by clicking HERE. Payment is made thru Paypal. You will receive a certificate as your proof of purchase and receive the first set starting Wednesday. For those of you who have purchased my "COMPLETE COLLECTION OF HANDBOOKS" please know that you will be receiving this set of handbooks FREE. Anything new that I write will always be included free of charge to you. So, now that I have your interest, let me show you what I've been up to! 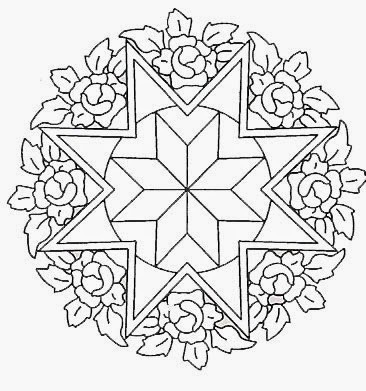 I have been designing stencils for Quilting Creations, Inc. for many years. These designs were also included in my now out-of-print book, Wholecloth Linen Quilts. Stencil designs must regularly be discontinued to make room for the new stuff so many of these designs are now unavailable. The first set of this collection, "Oldies But Goodies" contains about 90% of my older designs. I am putting the polishing touches on it as we speak and it is now 200+ pages. My designing style has changed a LOT over the years and I was a bit hesitant to even bring the old stuff back to life. My compromise is that I am showing the designs as they were originally drawn and then I am re-sketching a bunch of them showing new and improved ways to quilt them. Many of them are being used to show how to make wholecloth quilts with that particular design. I will have each set broken up into chapters for blocks; borders; fans; corners, wholecloth medallions and this & that. A separate index shows small 1" shots of each design with the page numbers so that you can quickly flip thru and see where a design is. If the cut stencil is still available thru Quilting Creations I will have the stencil number on that particular design page so you can order it if you wish. I will also be including instruction at the beginning of the book showing you how to make your borders fit, simple instructions on how to transfer the designs, how to use a proportion wheel for enlarging/shrinking designs and I will share how I create my designs and some of the tools that I use. The second set is still being created and will be called "New and Improved". I have a new batch of designs currently being cut and polished up at Quilting Creations and expect to have them soon. This will be the beginning of the second set of designs. I am focusing more on designs that have less detail. I am always encouraging my students to "make it your own" and these designs will help with that. I will be offering multiple alternative design sketches with each of these to inspire you. This set of handbooks will come with twice-yearly updates in January and July. As I sketch out more design alternatives for the older designs (in the first set) I will send them to you. As I come up with new designs (in the second set), I will send those to you as well. I'm excited to share all of this with you...this has been something that I've wanted to do for a very long time! Done! Thanks for the deal. You always go above and beyond. Just downloaded my copy. I am simply amazed. Thank you for such a great pattern collection at a wonderful price!